In 2015, Somaliland professionals organised its first annual professional event for young Somaliland professionals in the UK. This event previously endorsed by Dr Edna Adan proved to be a success. Since then, Somaliland Professionals have teamed up with other inspiring Somalilanders and in the hope of exchanging ideas, information, skills and knowledge with the aim of contributing to the development of Somaliland. The Somaliland Intellectuals Institute or (SII) which is under construction is an independent policy institute and think tank whose aim is to engage universities and research institutions, public and private enterprises, civil societies and the public as well as governments and all principal stakeholders through constructive forums bring about innovation, progress and prosperity to the people of Somaliland, Africa and the world. This is STRICTLY for motivated Somalilanders based in the UK who are looking to network and meet like-minded people who are keen on bringing positive change in Somaliland. This is the PERFECT opportunity to expand your professional network and increase your involvement in Somaliland's future. • Topics and discussion about Somaliland's political, social, economic and environmental current state. 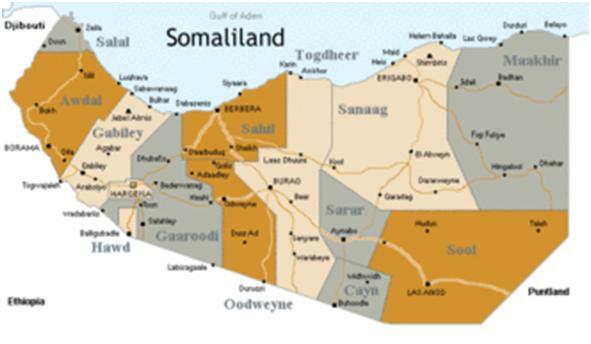 • Role of Somaliland professionals and young people (who we are, where do we fit in), in the development of The Republic of Somaliland. • Introducing new and up-and-coming youth movements. Due to high interest and limited space, tickets will be sold on a first come first serve basis. Event schedule will be sent after tickets are bought.